1. Blend the bananas and water into banana paste. 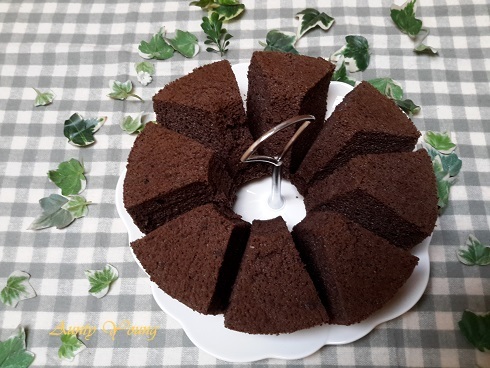 Sift the cake flour and cocoa powder into another bowl and set aside for later use. 2. Add the corn oil to the egg yolks and mix evenly, then add in the banana paste. 3. Add the sifted powder and mix evenly. 4. Whisk egg white till frothy, add 1/3 of sugar. Continue to beat and add remaining sugar in 2 sessions and beat till stiff peaks form. Fold in 1/3 of the meringue to egg yolk mixture, folding till just incorporated. Repeat the same for the remaining meringue. 5. Pour batter into 20cm tube pan, bang it on tabletop twice to release air bubbles. 6. Bake in preheated oven at 170°C for about25 mins.Then turn down to 150C for another 20 mins. 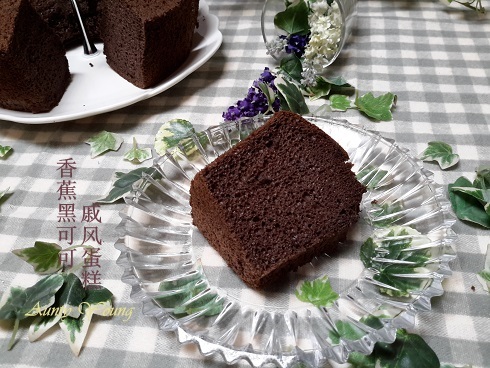 Invert the cake immediately after removing it from the oven, then unmould after the cake has cooled. Cut into slices and serve. Aunty Young, this is really good. 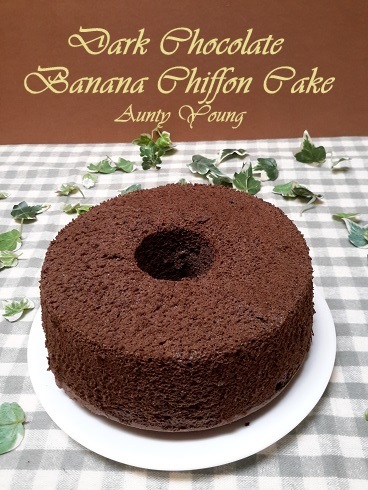 A light chiffon with my favorite combination of chocolate and bananas! wow, looks beautiful! I love the colour of the dark chocolate. 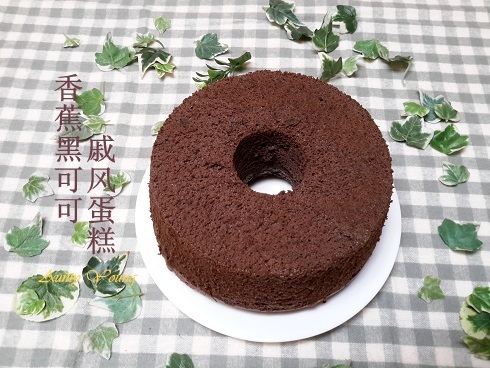 A beautiful dark chocolate banana chiffon cake! So beautiful! 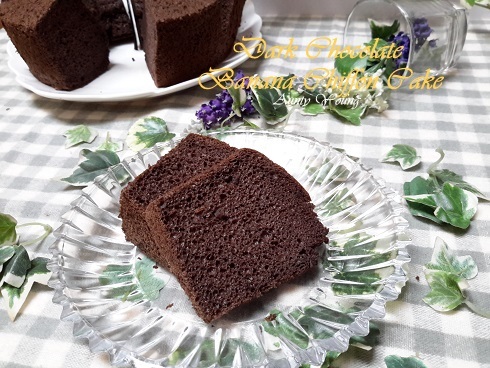 I bake one dark pearl chiffon using dark chocolate but find it too bitter! Is this same ?